Mozilla, the company behind the Firefox browser, has found it tough to bring a new feature on its desktop browser to mobile - ad-blocking. The company recently brought the Firefox browser to iOS for the first time, but has had to release a separate ad-blocking add-on for Apple’s iOS 9. 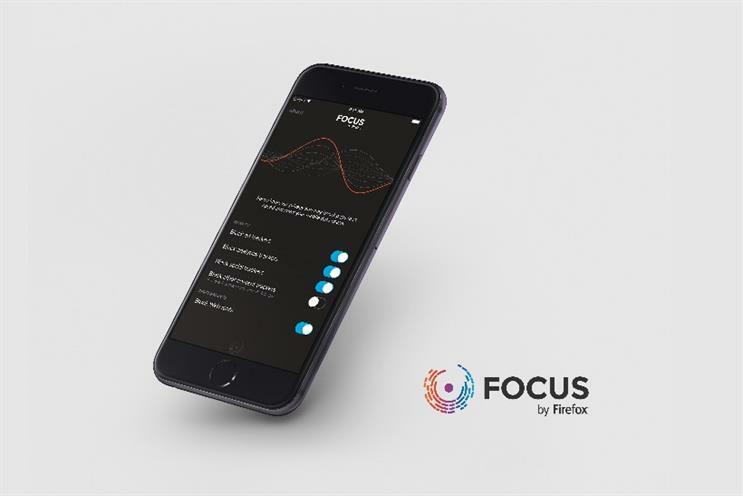 Called Focus by Firefox, the add-on works like most other ad-blockers, letting users avoid trackers on web pages used for analytics, ads or social media. Except the add-on is only available for Apple’s browser, Safari. This is due to the fact Apple doesn’t allow content blocking for any browser other than its own on iOS 9, though it isn’t clear why. Apple hasn't responded to a request for clarification. Mozilla's chief legal and business officer, Denelle Dixon-Thayer, told Marketing: "We are exploring how we can provide this feature on Firefox for iOS and will deliver it as soon as it’s possible." Asked why Mozilla would create a mobile ad-blocking function for a rival browser, Dixon-Thayer added: "Advertising practices such as commercial tracking that are non-transparent and ignore user signals like Do Not Track are not sustainable for a healthy Web economy over the long term. "We want to empower users to have more control over their Web experience on all browsers and encourage the online advertising ecosystem to shift towards more user-centric practices." In other words, Mozilla is more interested in allowing users to block ads on mobile than boosting its own mobile browser share on iOS. Mozilla has historically shunned Apple’s mobile platform, mainly due to the latter’s developer restrictions. Firefox for iOS arrived in November, with Mozilla citing "improved tools" in iOS 8 as the reason for the U-turn. Avoiding iOS has been to Mozilla’s detriment. According to NetMarketShare, Google Chrome is the most popular browser on mobile, with more than 40% market share. Apple’s Safari follows with 35% while Firefox has less than 1% market share. That’s a far cry from desktop, where Firefox is the third most popular browser behind Chrome and Internet Explorer.